Karina is our elegant "in-house beauty blender", and that title 100% embodies her passion and personality. When it comes to life and style Karina loves a good mix— whether it's throwing together vintage and modern pieces in an #OOTD, or learning about diverse cultures and the perspectives of others. Karina is a Marin local, growing up the youngest of five in Novato, and her bright spirit radiates when it comes to creativity! She is bilingual and appreciates meeting people from all walks of life, and loves the depth and insight that come from individuals and their unique experiences. She's our little global guru! 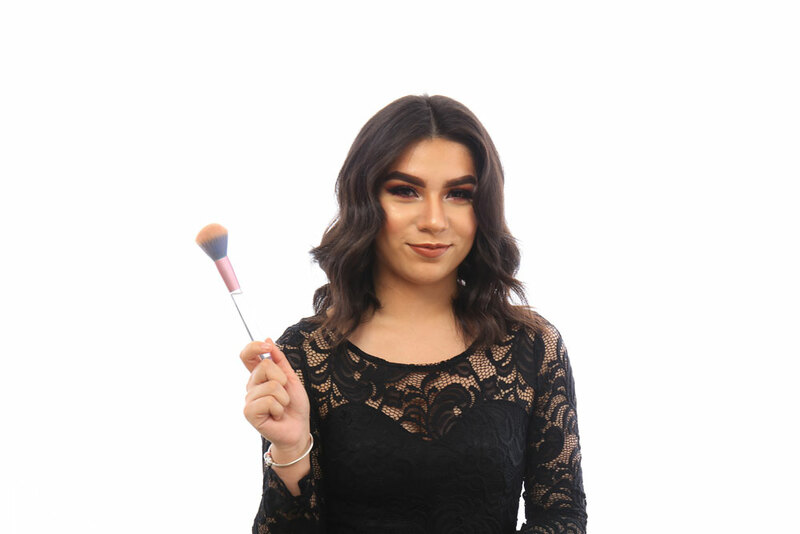 Make-up was Karina's gateway into the beauty world, but she found that a career in cosmetology integrated so much more, not only her love of all things trendy, but the ability to make people feel positive about themselves through beauty. Karina graduated from Paul Mitchell San Francisco in 2015, and approaches her work with the attitude of a lifetime student-- always soaking in new knowledge with enthusiasm and charisma. She is super excited to learn and grow as an APLuxe girl and fuse all the elements that make her the talented artist she is.